Be the first to share your favorite memory, photo or story of Paula. This memorial page is dedicated for family, friends and future generations to celebrate the life of their loved one. MANCHESTER BY THE SEA - Paula S. Crocker (Darsey), 71, wife of Samuel S. Crocker, died Friday, November 9th at Beverly Hospital after a two-year struggle with several illnesses. She was the daughter of the late Marjorie Marshall and Buford Darsey and was born in Dublin, Georgia, on January 24, 1947. She spent her early years in Georgia, and moved to Manchester, her mother’s home town, in 1959. Graduating from Manchester High School in 1965, Paula then worked at Naumkeg Bank & Trust Company in Salem for many years. She married Sam Crocker in 1967, and they bought their first house at 19 Forest St. in Manchester, where they had their two sons, S. Sturgis Crocker “Skip” born in 1971, and Brenden William Crocker, born in 1973. Paula was very devoted to and proud of her two boys, who each became very successful in their line of work and are a great reflection on their parents. Paula was active in the community and a former member of the Manchester Yacht Club. She enjoyed going to various events and shows with her friends and family and was a push-over for dancing to a good rock & roll band. She and Sam always went out on Saturday nights to various clubs in the area featuring “Country Western” music. Paula also kept busy assisting Sam with running errands and other projects at the Boat Yard. Family was first and foremost to Paula; she devoted much time to Sam’s family as well as her own sisters, brothers and cousins. 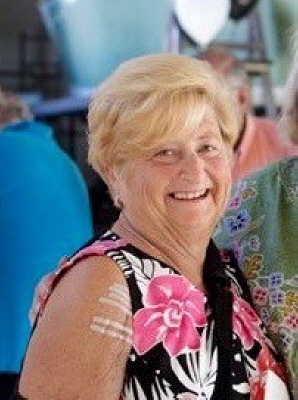 In addition to her husband, Paula is survived by her sons, Skip Crocker and his wife, Julie of Essex; Brenden Crocker and his wife, Milissa of Hamilton; sister, Shirley Gauthier and her husband, Phil of Manchester; brother, Peter Darsey of Manchester; brother, Larry Darsey and his wife, Jennie of Pennsylvania; sister-in-law, Kitty Crocker Palmer of Essex; brother-in-law, William A. Crocker of Damariscotta, ME; her cherished grandchildren, Sam Crocker, Ellie Crocker, Beatrice Crocker, Finn Crocker and Noorimane Oraibi; her nieces and nephews, Amy Gauthier Widronak, Danielle Gauthier, Tina George Saxon, Luke Darsey, Yvonne Darsey; cousins, Marianne Shrewsburry, Cleone White, Jean McKenna, Dianne Holroyd, Barbara Fotos. Paula was predeceased by her sister, Judy George and nephew, Chip George. ARRANGEMENTS: Her memorial service will be held at the First Parish Church Congregational, 10 Central Street, Manchester by the Sea, Friday, November 16, 2018 at 2 p.m. Relatives and friends are invited to attend. Arrangements by the Campbell Funeral Home, 525 Cabot Street, Beverly. In lieu of flowers, donations in Paula’s memory may be made to the Spaulding Education Fund, P.O. Box 192, Manchester, MA 01944. Information, directions, condolences at www.campbellfuneral.com . To send flowers or a remembrance gift to the family of Paula S. Crocker, please visit our Tribute Store. "Email Address" would like to share the life celebration of Paula S. Crocker. Click on the "link" to go to share a favorite memory or leave a condolence message for the family.